With both Vogue and British Harper’s Bazaar giving up covers to Serena Williams this year, she’s become quite the familiar face at the newsstand. 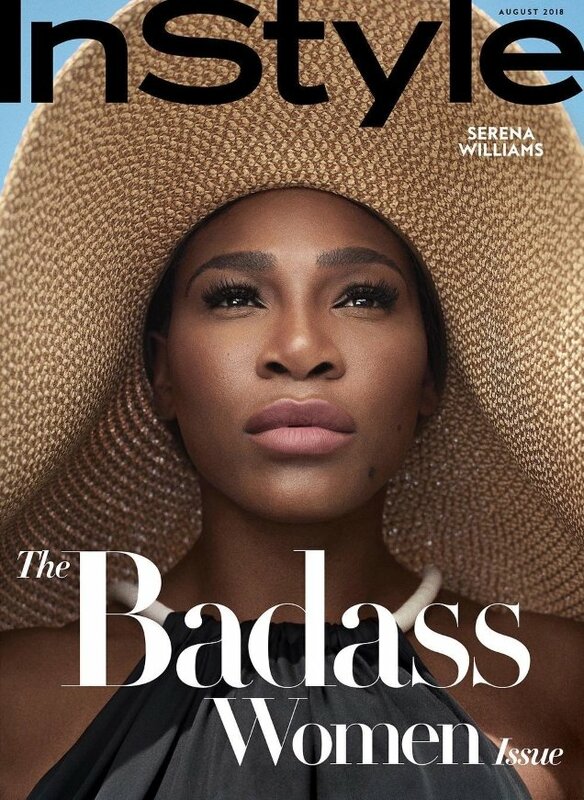 Now, for InStyle‘s August 2018 edition, who better to front the title’s inaugural ‘Badass Women Issue’ than the tennis ace? Photographed by Robbie Fimmano and styled by Julie Pelipas, Serena wears an oversized Eric Javits hat and a halter neck dress from The Row as she stares out into the distance (foreseeing winning Wimbledon for the eighth time?) in the cover image. The cover received mixed reviews from our forum members. “I think this is the most beautiful Serena Williams has ever been captured on a cover,” said dodencebt the second the cover came to light. “Wow, this is really the year of Serena! If you’d have told me years ago that she’d be the one booking all these covers who normally shun women like herself, I’d not have believed it. InStyle‘s covers always look so fake, this one is no different. Way too much retouching. British Harper’s Bazaar showed her true looks (and skin! ),” critiqued Benn98. “They could have done so much better with her. Happy to see her scoring all these covers though,” Miss Dalloway added. “Hoping they have some other badass women covers and not just this one. Sick of Serena on fashion magazine covers. She’s no fashion icon,” complained Handbag Queen. Sharing the same sort of attitude was mepps. “The retouching is so ridiculous and over the top. A lot less of that and this cover would be great,” he said. Will you be making a dash down to the newsstand for a copy? See more from Serena’s cover shoot and voice your own opinion here.